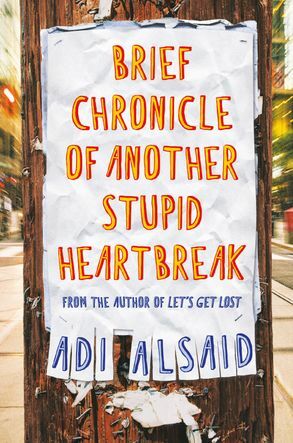 Dumped by her boyfriend the summer after senior year, teen love and relationship columnist Lu Charles has hit a wall with her writing. The words just won't come to her like they used to and if she doesn't come up with a topic for her column, she'll lose her gig at hip online magazine Misnomer, and the college scholarship that goes along with it. Her best friend, Pete, thinks she should write through her own pain, but when Lu overhears another couple planning a precollege breakup just like hers, she becomes convinced that they're the answer to cracking her writer's block. And when she meets them - super-practical Iris and cute, sweet Cal - and discovers they're postponing their breakup until the end of the summer, she has to know more. Have Cal and Iris prolonged their own misery by staying together, knowing the end is in sight? Or does the secret to figuring out all this love business - and getting over it - lie with them? One thing is certain - if Lu can't make a breakthrough before summer is over, she can kiss her future goodbye. From the acclaimed author of Let's Get Lost and North Of Happy comes a touching exploration of love, relationships and the pain of breaking up. Adi Alsaid was born and raised in Mexico City. He attended college at the University of Nevada, Las Vegas. After graduating, he packed up his car and escaped to the California coastline to become a writer. He's now back in his hometown, where he writes, coaches high school and elementary basketball, and makes every dish he eats as spicy as possible. In addition to Mexico, he's lived in Tel Aviv, Las Vegas and Monterey, California. Visit Adi online at www.somewhereoverthesun.com, or follow him on Twitter: @AdiAlsaid.